By Costa Maragos Posted: February 3, 2018 7:00 a.m. 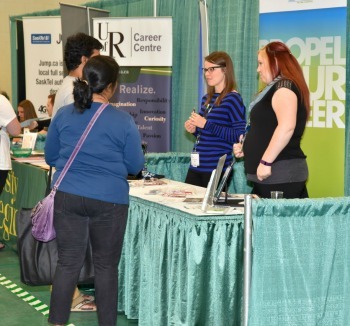 Hundreds of job opportunities await University of Regina students and they can be found in one big room. The U of R’s Career Centre is once again hosting the annual Spring Career Fair, Monday, February 5 from 10:00 a.m. to 3:00 p.m. on campus. If history is any indication, if you are a student there’s a chance you will walk away with a job opportunity. 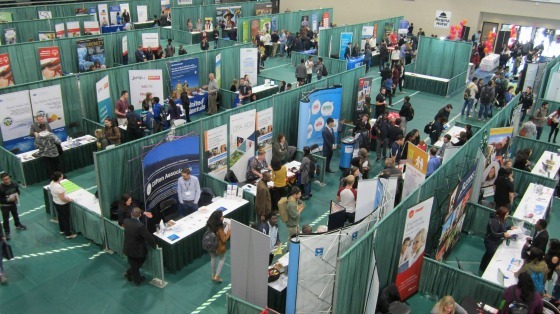 The Spring Career Fair, 2018 edition, has become a magnet for some of Canada’s top employers. More than 100 employers will set up tables with company representatives who can answer students’ questions. The jobs offered include summer, part-time, full-time, co-op, internships, practicums, fieldwork and volunteer opportunities. For employers, the fair is one-stop shopping to connect with highly motivated, educated workers. If you’re wishing to connect with potential employers, then the Career Fair might be your ticket to employment.